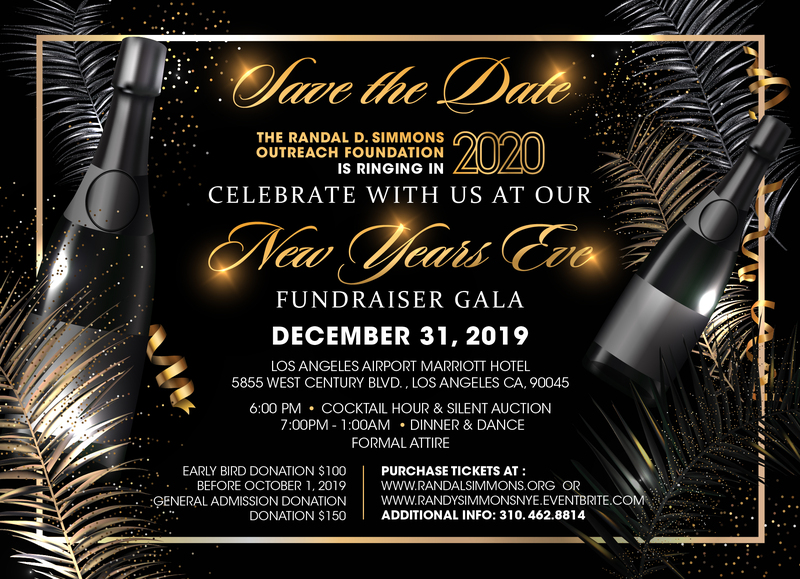 Join The Randal D. Simmons Outreach Foundation by coming out & ringing in the year 2020 with us ! This fundraising gala is to raise funds for our mentoring and scholarship programs. Enjoy a night of dinner, dancing, a silent auction, champagne toast at midnight, specialty cocktails and so much more!